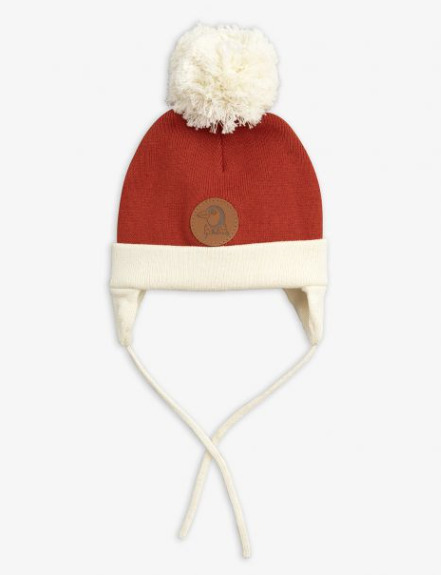 Red knitted baby beanie in GOTS certified organic cotton featuring a pom-pom applique on top and a faux leather penguin patch at front. 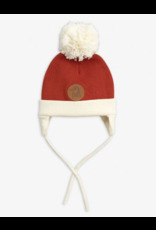 The beanie has a folded brim and earflaps with strings to tie under the chin. 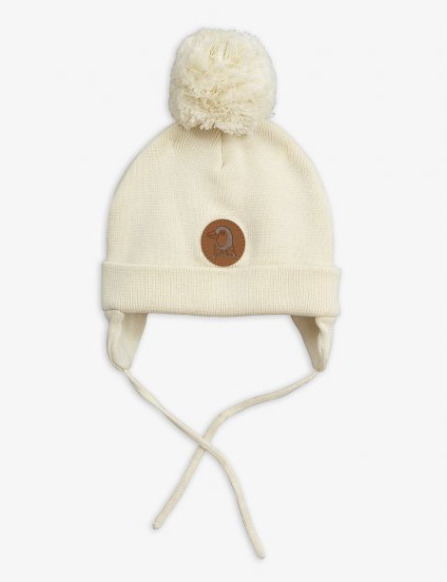 Off-white knitted baby beanie in GOTS certified organic cotton featuring a pom-pom applique on top and a faux leather penguin patch at front. 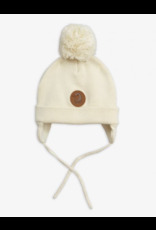 The beanie has a folded brim and earflaps with strings to tie under the chin. • 100 % organic cotton • GOTS certified • Made in China The organic material used to make this beanie is GOTS certified – the strictest certification for organic materials on the market today, which includes rigid controls throughout the entire manufacturing process including chemical use and working conditions.